A little late to the party (again) with this one, but what I lack in speed, I make up for with my fanboy enthusiasm. This summer I’ve been rocking of a lot eau de colognes, light florals and zingy citrus scents, so the first spritz of the warm, bakery tones of Sunshine Woman was quite a surprise. This is an unusual summer fragrance that flirts with gourmand tones of almond and vanilla, whilst also getting friendly with some hot and waxy white florals. So, if you want something a little bit different to the usual citrus follies of summer, then Sunshine may be something to consider. Click here to head on over to Escentual to read my review. Sample and Image via Escentual. I write for Ecentual as their Fragrance Expert. My views are my own. 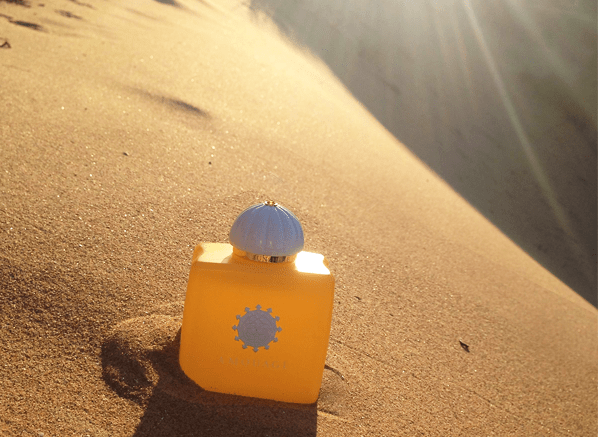 Posted in Amouage, Escentual, Perfume Reviews and tagged Amouage, Escentual, Perfume Review, Sunshine. Bookmark the permalink.